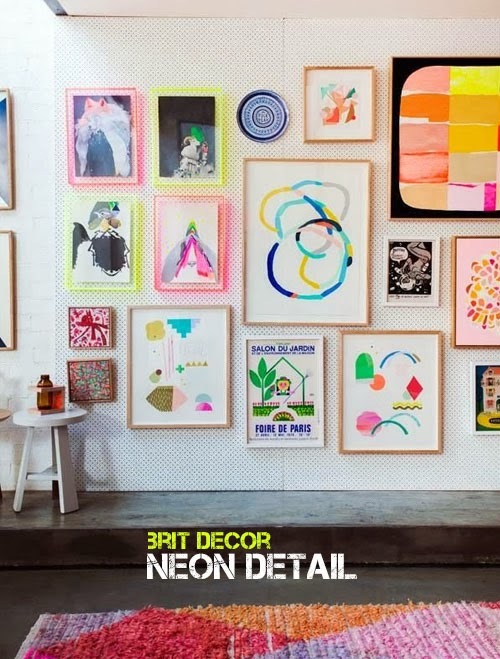 Neon brights are back in the spotlight again for 2014 with a welcome shot of colour therapy for us all, but beware, use these powerhouse shades wisely for maximum impact without overpowering an entire room. 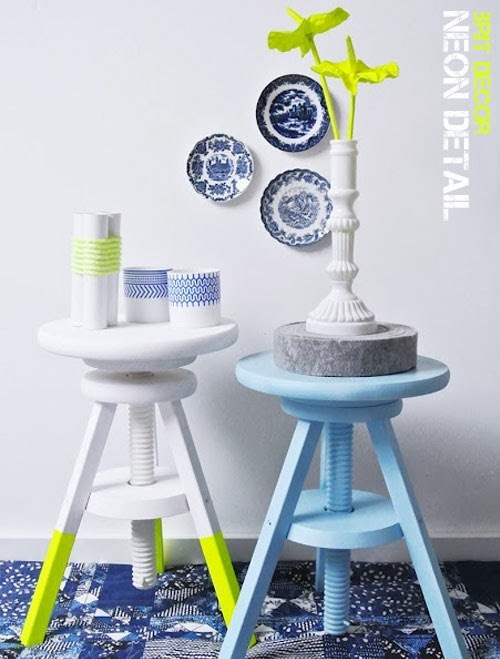 Small and concentrated detailing works best with this look such as the fluorescent yellow dipped stool above mixed with carefully selected accessories like the strikingly statuesque Applicata candlesticks (no.2) below. One of my fave new stores, Future and Found is currently working this look with some great neon accessories such as their fun pencils (no.1). I love how the neon pink detailing of this Ferm Living cushion (no.3) contrasts with the stark worn monochrome pattern. 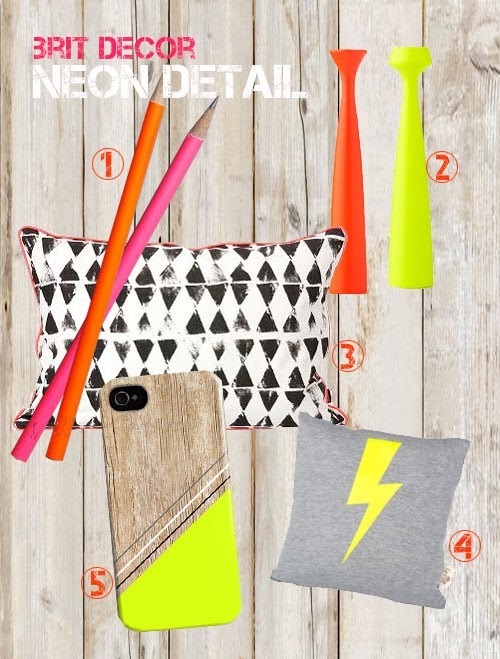 Equally, the neon lightning bolt on today's second find from Ferm Living (no.4), sits perfectly against the muted grey. However, if you are a huge fan of the neon look, then you can always carry it around with you and spread the word with this uber-cool geometric iPhone case (no.5) from Etsy. Whatever you are doing today, I hope it's a neon bright day!